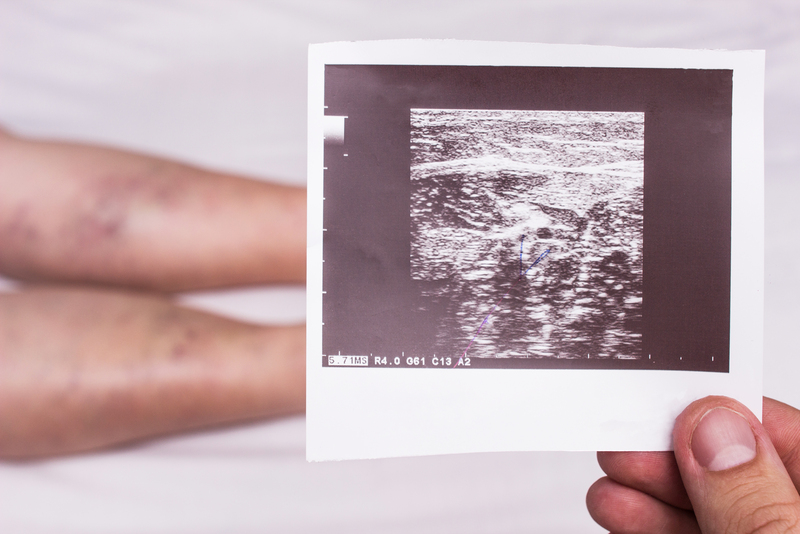 We offer same day ultrasound studies evaluating for deep vein thrombosis. Our providers meet personally with each patient after their ultrasound to discuss results. As we are an outpatient medical clinic the cost for our ultrasound study is estimated at be approximately 1/3 of the hospital/ER charge for the same testing. Rather than going to the ER we can perform the studies and appropriately triage which patients need further care. We have a staff of highly trained experts to treat and manage venous thrombosis using current guidelines and evidence-based medicine. We accept same day referrals for DVT rule-out ultrasound, Monday through Friday 8AM to 5PM. Call the number below to refer your patient urgently for a DVT ultrasound or click here to send a referral for a non-urgent vascular ultrasound study.